A product of a crazy Aussie taxidermist. 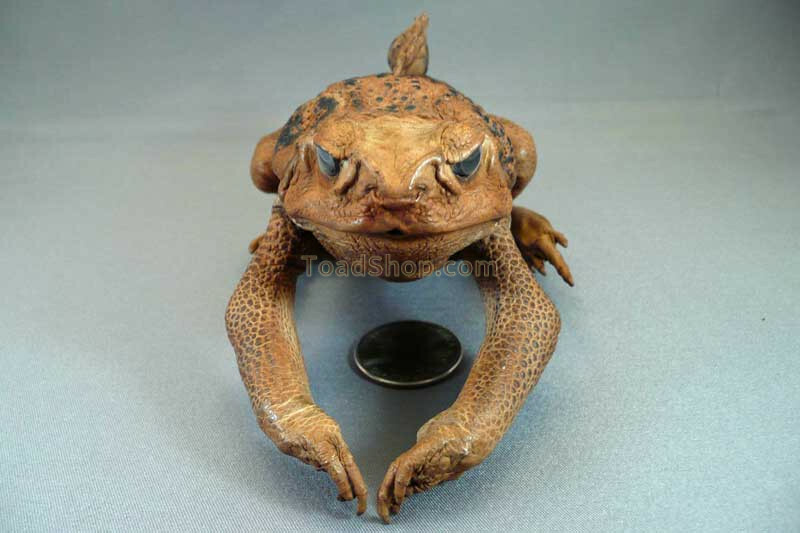 Stuffed Australian Cane Toad with a weird fin. There are two types of prehistoric Cane Toads. 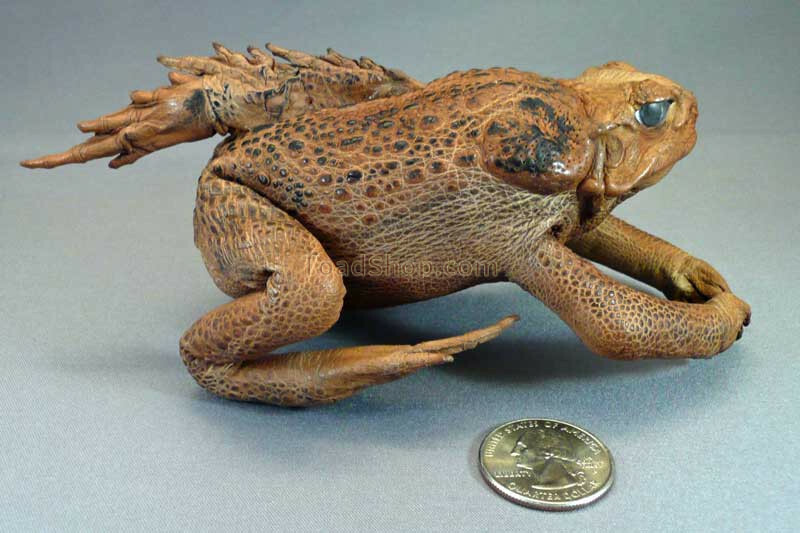 You can chose a stuffed Cane Toad with either a tail or a fin. Have fun with your biology teacher. These stuffed toads are about the size of our small stuffed Cane Toad. The length is about 4.5" (12cm) not including the tail.